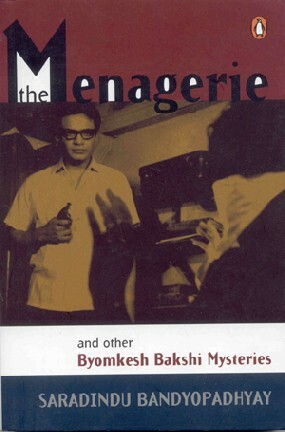 If you’re looking for some cosy, reasonably undemanding detective stories to fill a lazy summer day, do pick up The Menagerie and other Byomkesh Bakshi Mysteries, a new translation (by Sreejata Guha) of four of Saradindu Bandyopadhyay’s stories about the popular amateur detective: “The Menagerie” (which was filmed by Satyajit Ray under its original title Chiriakhana in 1967), “The Quills of the Porcupine”, “The Jewel Case” and “The Will that Vanished”. The first two are novella-length, the others are short stories, and they’re all engrossing and fast-paced – though personally I much preferred the two longer ones. Bandyopadhyay created Byomkesh Bakshi in 1932, which makes him a forerunner by several decades of that other famous fictional Bengali sleuth, Ray’s Feluda. Inevitably, these stories have dated to an extent; some of the deductions will seem slightly naïve if you’re an experienced reader of detective fiction. (A letter written in invisible ink is the earthshaking plot twist in one story. In another, Byomkesh lies sprawled on an armchair looking up at the beams on the roof and thinking for 15 minutes before making a fairly commonplace inference.) But on the whole the stories are well plotted, there is an eye for detail and for nuances of character, and some of them are sinister in a way that seem quite at odds with the comfortably bourgeoisie south Calcutta setting. I was particularly taken by the narrative structure of “Quills of the Porcupine” (“Shojarur Kanta”), which intercuts the mystery with observations on caste differences, the alienation inherent in big-city living, and the dual natures of people. Won’t make this a long post (a sluggish Sunday afternoon being better spent in reading the book than writing about it) but another reason I find these stories appealing is that they evoke a very particular mood and milieu, a style of living that I haven’t encountered firsthand but have heard a lot about (thanks to a preponderance of Bong friends). I’m talking about the indolence that one typically (stereotypically?) associates with Bengali intellectuals who prefer to flex their cerebral muscles rather than engage in much physical activity. The sort of lifestyle where one might spend the entire morning playing chess with a friend (as Byomkesh often does with his friend Ajit babu, who narrates many of the stories) or leafing through the newspapers, then take an afternoon siesta and later wander across unannounced to a friend’s house for tea and conversation. The morning crept in slowly. Putiram came in with the tea, but Byomkesh didn’t touch it. Neither did he light a single cigarette. He lay in the armchair as if in a stupor, a hand sheltering his face. At noon he got up in silence and had his bath and his lunch. Then he switched on the fan and stretched out on the bed. I knew he hadn’t done so for a quick nap. He held himself responsible for Panugopal’s death and needed solitude so he could come to terms with it. Moreover, he was desperate to unmask the shrouded assassin who had removed two people in quick succession from the face of the earth. That evening, we sat and drank our tea together. Byomkesh’s face continued to look as menacing as a newly sharpened razor blade. And soon after, night comes and it’s time for dinner and another bath... and so it goes. You get the idea. Lots of internal tension and deep thought, but nothing that would justify expending too much energy. Okay, I’m being unfair – there’s at least one story in here that has a spectacular denouement, and another that involves the detective wearing a bulletproof vest to foil the plans of a porcupine-quill killer. Also, the reference to indolence isn’t a dig at Byomkeshbabu, just an expression of envy for his methods and his lifestyle (and probably the era he lived in). I wish I had a similar talent for doing the things I like doing while at the same time just lounging about for long hours at a stretch and not appearing to do very much at all. Note: Non-Bengali readers, also look out for an earlier collection of Byomkesh Bakshi stories titled Picture Imperfect and other Tales. The main difference between Byomkesh and Feluda of course is the total lack of sexual themes and content in the latter. Of course, Feluda was a series written for children, and given this constraint it's quite remarkeable how mature some of the mysteries are. Byomkesh stories can be quite wickedly salacious -- and come as a refreshing surprise to anyone who's grown up on a Feluda diet. And damn you, now I'll have to get that huge heavy book down and read Shojarur Kanta yet again. P.S. Ray's Chiriakhana is the worst film he ever made. Seen it? To continue were Marauder left off. Yes, Chiriakhana is the pits. I thought Ray's all-time worst was Ganashatru (I have tried to sit through the film a number of times and failed), but Chiriakhana takes the cake (rather the dung cake). The film was not available commercially for quite some time. So, when I espied a DVD of it the last time I was in Cal, I pounced on it. But, what a letdown!! I couldn't for the life of me fathom how Ray could have made such a terribly bad movie. Nope, not seen Chiriakhana. But my experience is that when great directors mark a film of theirs out as something they aren't proud of (as Ray did with this one), it almost always turns out to be really interesting. Also, what's that they say about a flawed work providing a better perspective on a great artiste than his masterpieces can? Do you know if any of his other works have also been translated..other than Byomkesh? His short stories of the supernatural genre are simply fabulous. Bidi-K: no, I haven't seen any of his other work, just those two Byomkesh Bakshi translations. Would like to get my hands on the supernatural stories though. Preetinder: thanks for the info, but I doubt Adsense is so generous. Byomkesh rocks!!! He was brilliant. 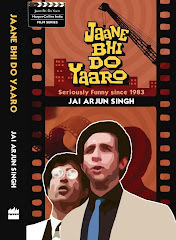 You must read the Bengali versions. Why don't you come over to my place one of these days and I will read them out to you? Byomkesh is maybe the closest approximation to Sherlock in Indian stories....but he was a "Satyanveshi". Yes, there was a Byomkesh Bakshi series on good old Doordarshan and nobody can portray the detective better than Rajat Kapur. I loved the series so much I even caught all the repeats when DD aired it in subsequent years. Sorodindu became famous for his Byomkesh works but his major literary contributions lie in his historical novels and short stories (mainly dealing with supernatural).Not sure if anybody had translated these to English. As for the movie Chiriakhana is concerned Ray came to director's seat as the guy who was supposed to direct left in between. He himself never liked the film but surprisingly West Bengal govt awarded him the best director for the movie. Sreejata Guha also translated a book of his children's stories set in Shivaji's era, called 'Band of Soldier's. I reviewed it earlier this year, and having read that as well as this book, have come to the conclusion that perhaps Guha's translations lose out on something. "there is an eye for detail and for nuances of character, and some of them are sinister in a way that seem quite at odds with the comfortably bourgeoisie south Calcutta setting"
Sapera: oh dear. No idea how I picked up that idea about it being south Calcutta - I'm quite particular about these things. However, I do recall that at least in the English translations of these stories, the setting did seem comfortably bourgeoisie. Maybe I should revisit them sometime to see if the translations have in some way updated the original stories.